This post is for Mandy, who said that she was looking for a vanilla cake. I hope you like it, we sure did! This cake gets better a day or two after is has been made. 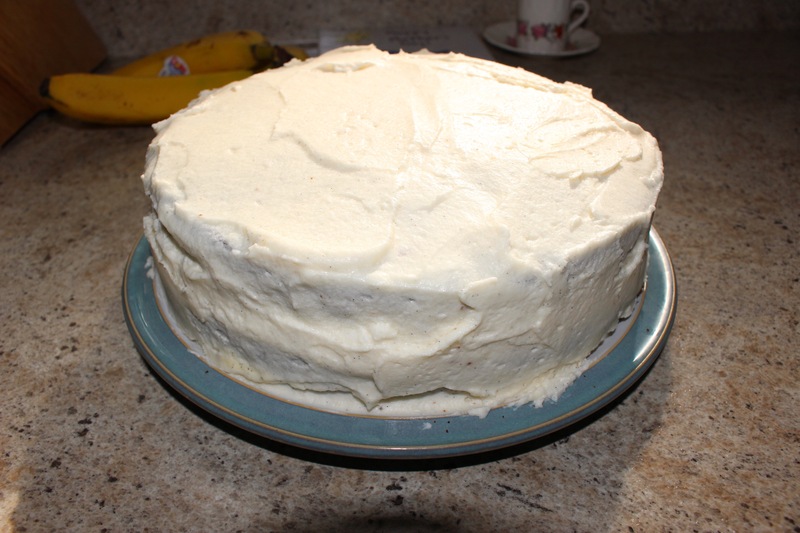 I find it best to make the cake and frost it, then keep well covered in the fridge for a day before eating it…if you can wait that long. This cake was a promised gift for a friend as a congratulations for a huge career accomplishment. Her favourite is vanilla cake and this cake has got vanilla! 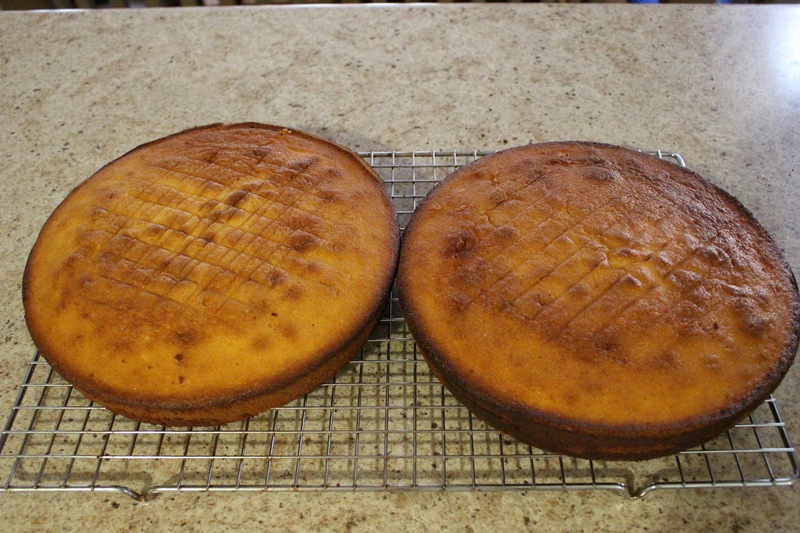 Preheat oven to 350F and grease two 8″ cake pans and line with parchment. I forgot to line and had a little trouble getting them out, but they came out fine in the end. My round and are 9″ and they baked fine but I just caught them from getting too dark. I would say, whether you use 8″ or 9″ and keep a close eye towards the end of the baking time. Place in bowl of mixer. 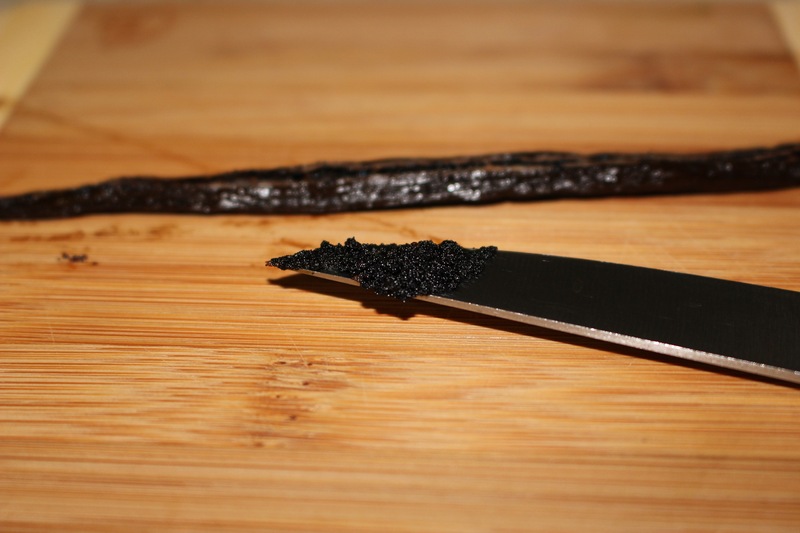 Split a vanilla bean lengthwise and scrape out the seeds. 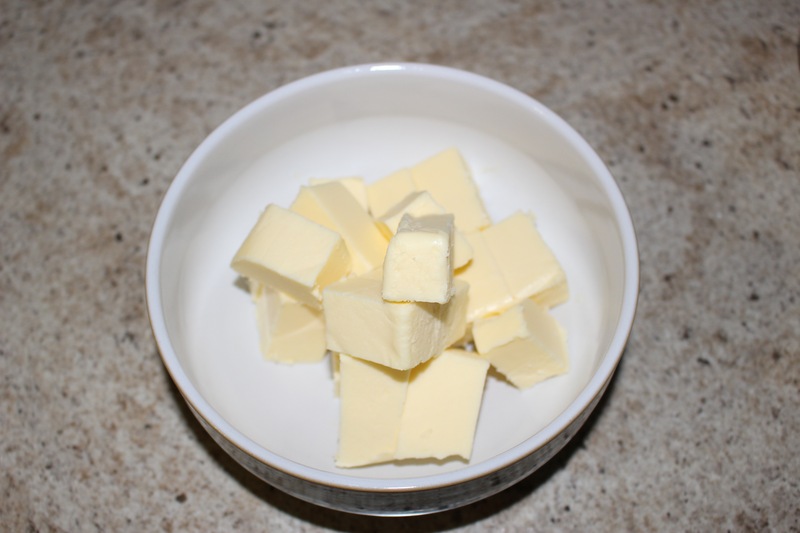 Add the vanilla seeds to the butter and beat until well mixed, 2-3 minutes on medium speed until the butter is light and creamy. 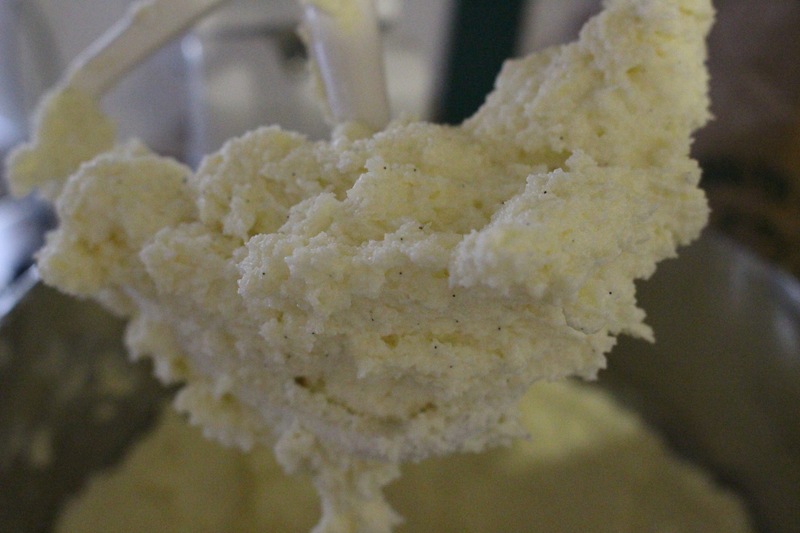 You get this beautiful butter mixture flecked with vanilla seeds. 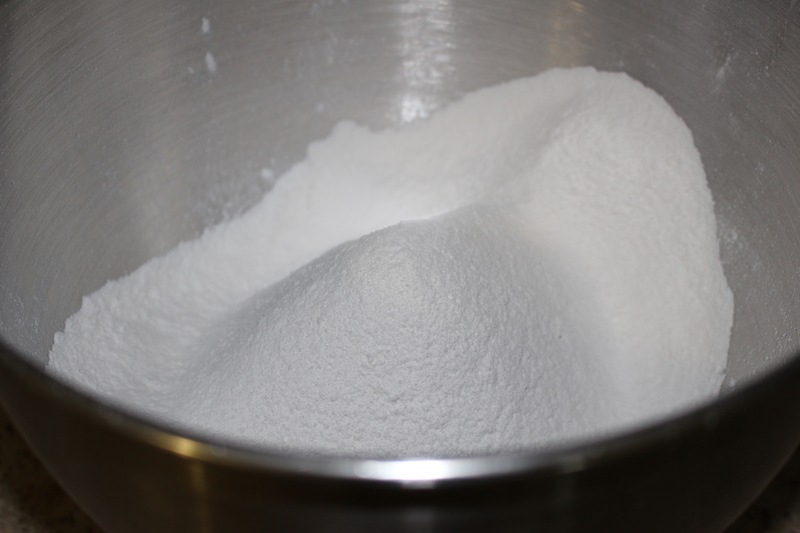 Add 2 cups of white granulated sugar, I beat in 1/4 cup at a time, scraping down the sides after each addition and beating for about 1 minute after each addition. Add the eggs, one at a time. Continue beating until incorporated. Reduce speed to low. 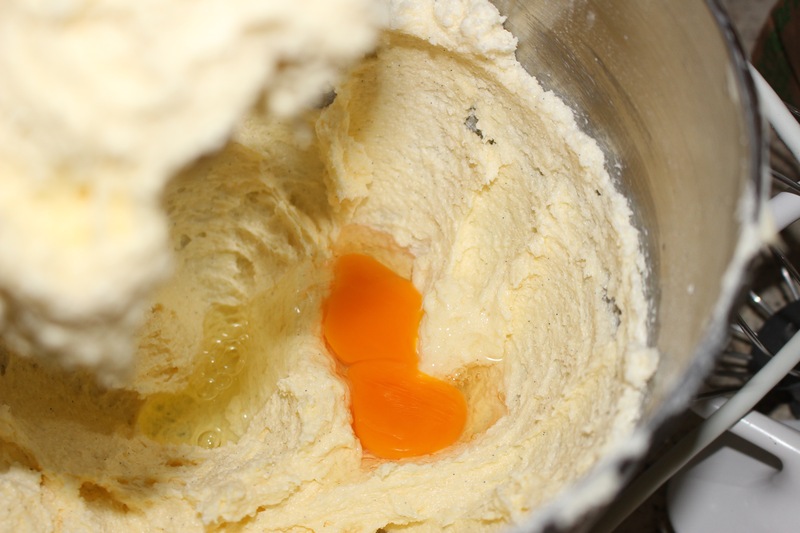 Add dry ingredients to the butter mixture alternately with the buttermilk. Mix just until incorporated. Sharpe sides of bold and mix for about 20 seconds to make sure everything is all mixed together well. Add batter to prepared pans and bake for about 35 minutes or until done. 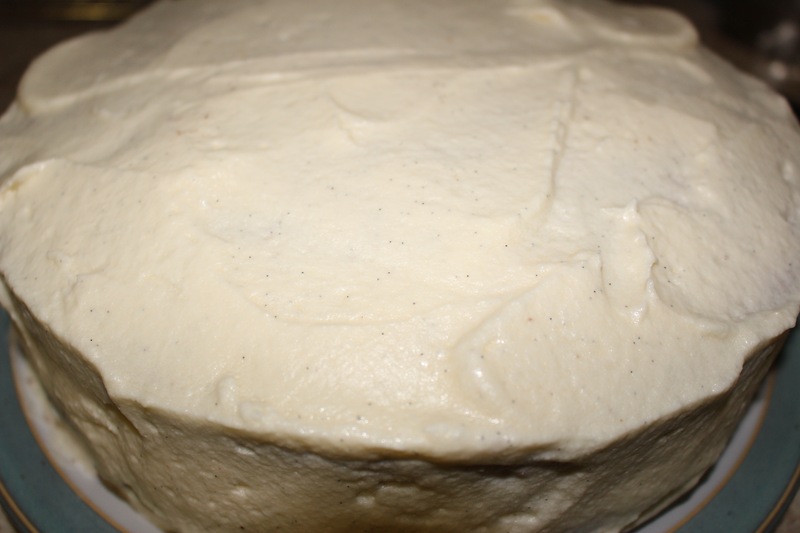 Once the cakes are completely cool you can prepare the Vanilla Bean Buttercream Frosting. 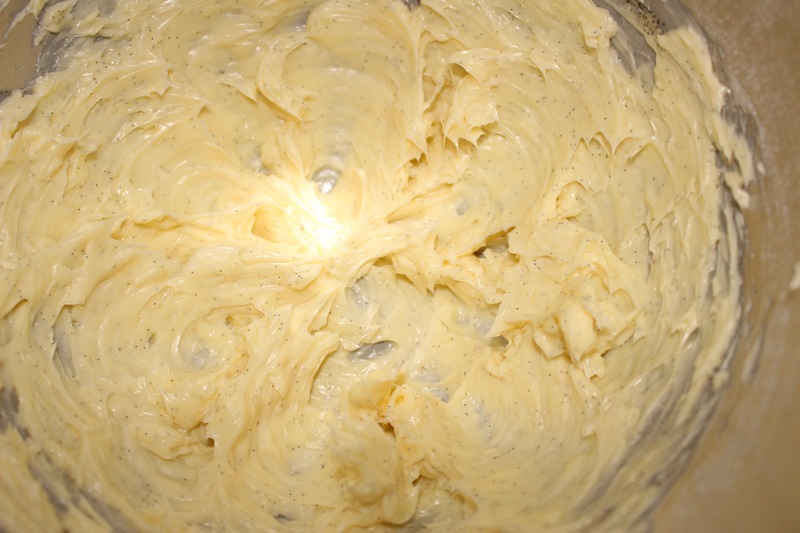 In mixing bowl cream butter with vanilla seeds until smooth and creamy. 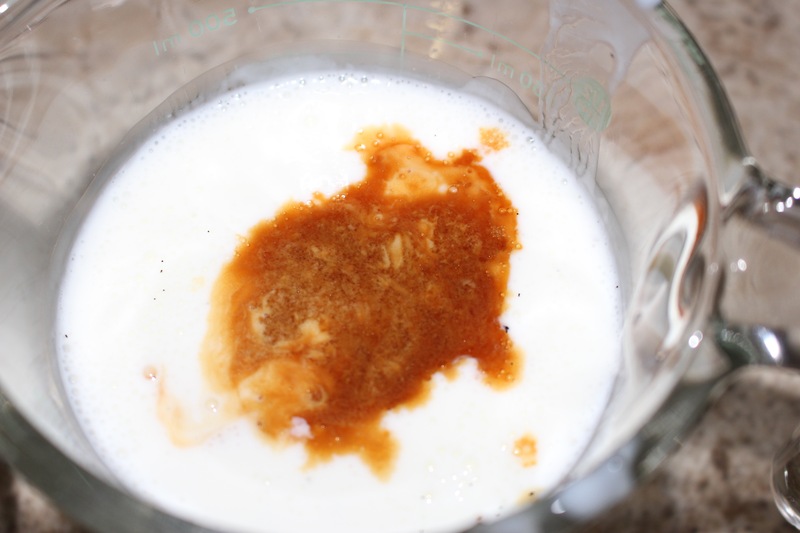 Add icing sugar a cup at a time, add milk and vanilla extract, continue beating until light and fluffy. 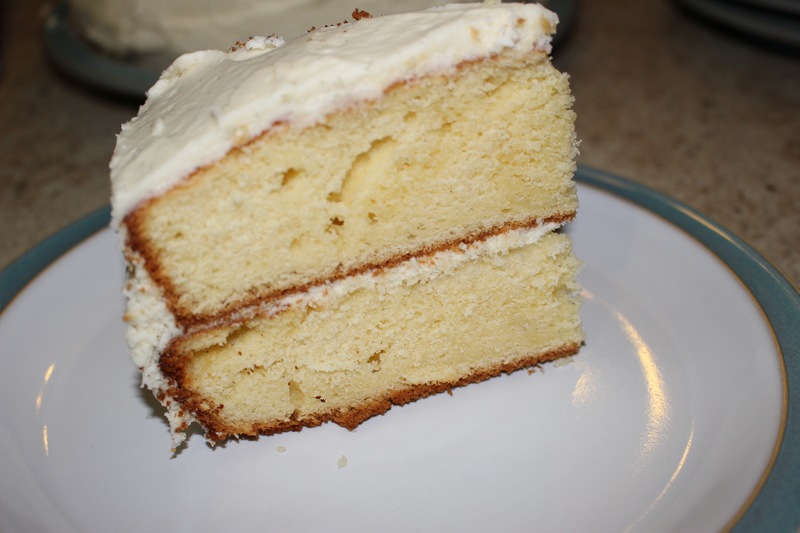 This entry was posted in baking and tagged buttercream frosting, buttermilk, cake, eggs, vanilla, vanilla beans, vanilla cake. Finally! So sorry it took so long to pop over – how rude of me. The cake looks absolutely incredible! Will definitely be giving your recipe a try ASAP. I love that it improves over time – perfect for baking ahead of time. Thank you again for sharing our recipe for me, you are very kind. Vanilla bean is my all time fav. Great recipe!